Today you are going to be building a theme park for bears. Wait, that doesn’t sound right, it’s a park full of bears for people to go and visit. People are the customers, not the bears. Ok, that’s cleared up, now let’s talk about the game. 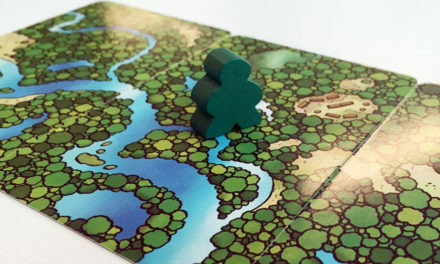 That’s the theme for our newest Game of the Week, Bärenpark, a new tile-laying game from Mayfair Games (best known for their hit game Settlers of Catan). In case you haven’t figured it out from the german sounding name, Bärenpark is a eurogame that has now made its way to the US from Europe. For some reason, US publisher Mayday Games decided to keep the German name instead of translating it to Bear Park, but don’t let that fool you. The rulebook in Bärenpark is in full english and the game is language independent anyway. 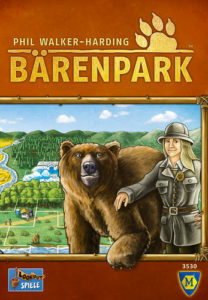 Naming aside, in games of Bärenpark, players will be placing bear exhibits, rivers, concession stands, and other features throughout their park. The rules couldn’t be simpler. Each player starts off with an empty grid onto which they place their park attractions. 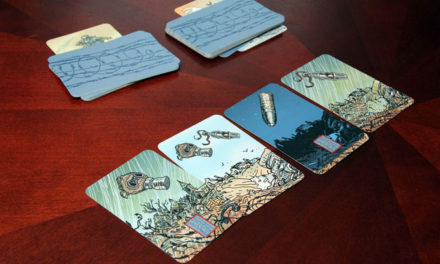 When a tile is placed and it covers up an icon, the player gets to take a new tile to place on a subsequent round from the appropriate section. All the attractions come in a variety of Tetris-like shapes, making placement of your attractions crucial. The goal is to completely fill up each of your 4 park grids, earning your valuable victory points. And that’s all there is to it. Bärenpark is a very accessible game that can be played with just about anyone. 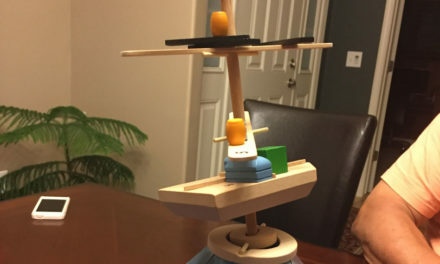 The rules take only a minute or two to explain, and the game can be as “thinky” as you make it. Creating a Bear Park is about as unique a theme as they come and I’m always happy to see designers branching off into new areas. 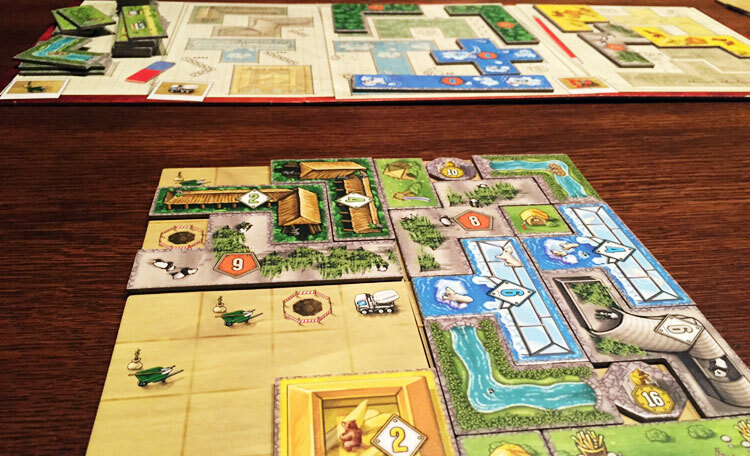 If you are looking for a quick playing, easy-to-learn tile-laying game, then grab a copy of Bärenpark. NextWhat exactly happened with the Wii U?